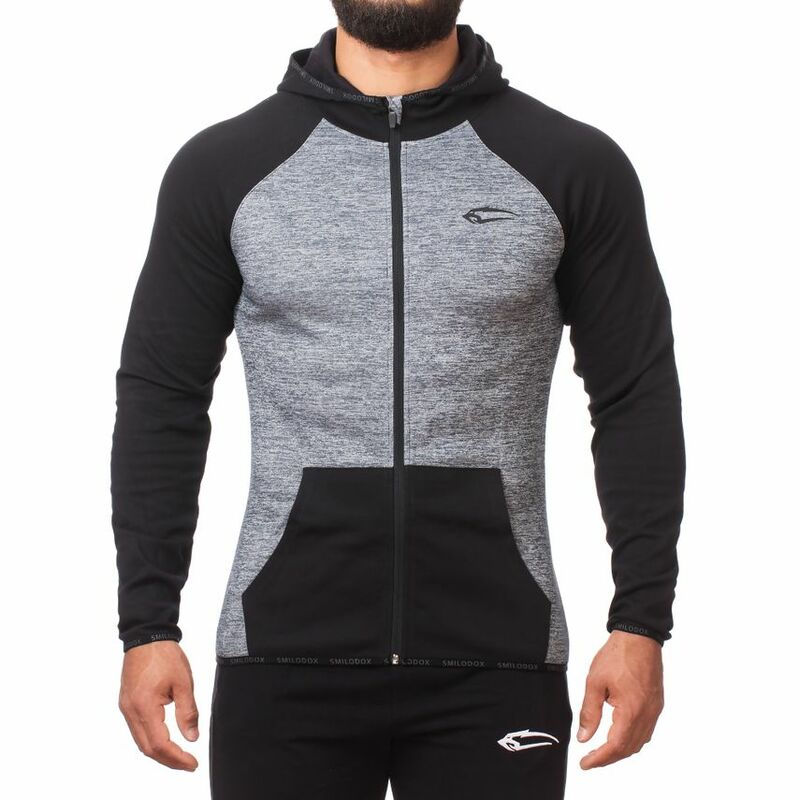 You wouldn't want to miss the extraordinary design of our new Smilodox Zip Hoodie Essential during your workout. 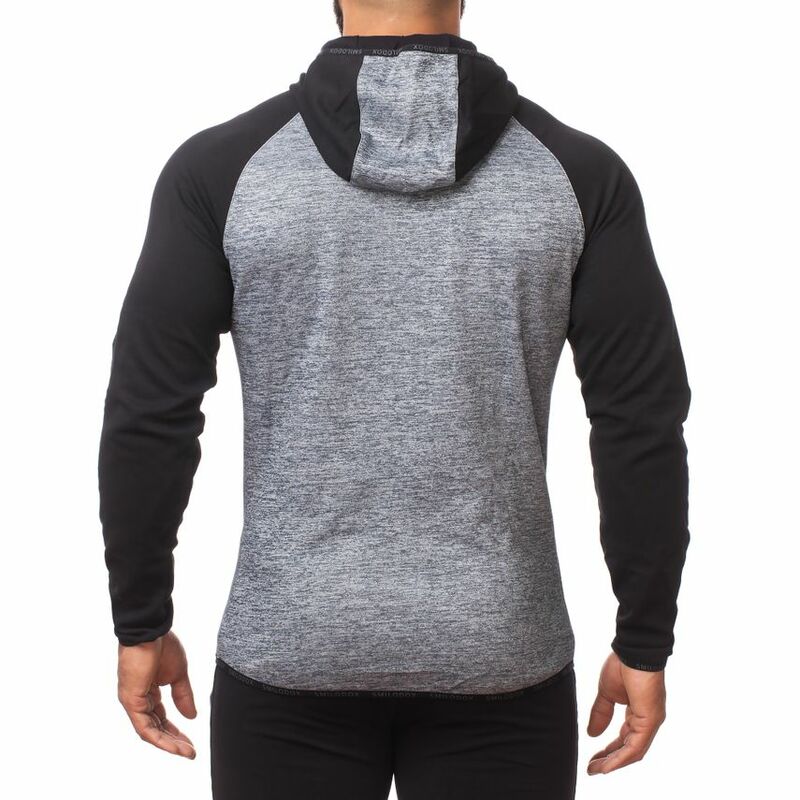 This Zip Hoodie Essential is an absolute must-have due to its simple design and belongs in every wardrobe. In addition, it convinces through its body-hugging cut and its fit, which ensures a high level of wearing comfort. 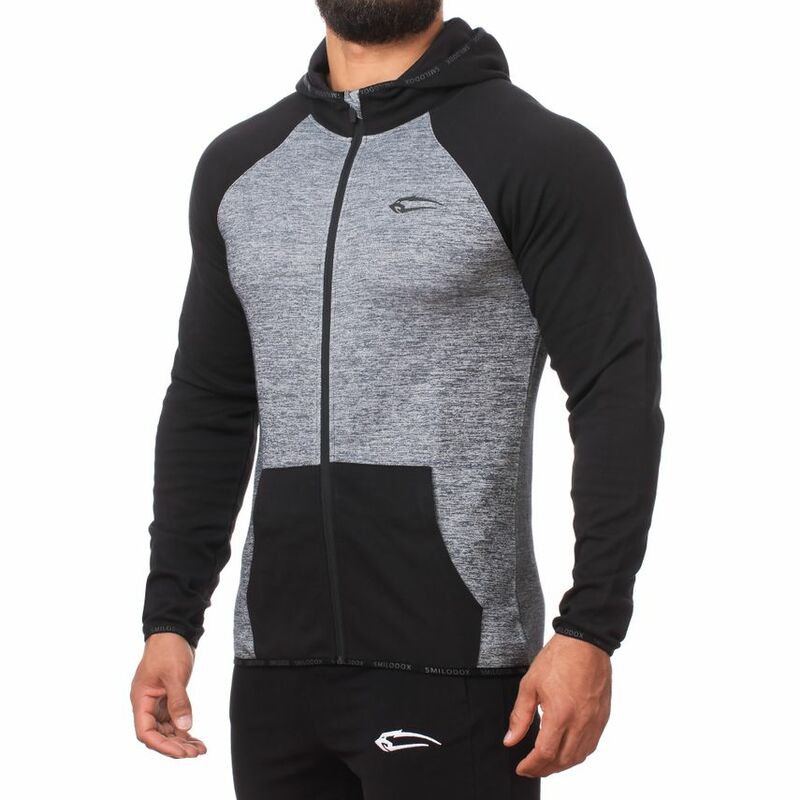 The optimal hard-wearing mix of materials gives it Hoodie elasticity, a stable exterior and a high wearing comfort without restricting mobility. 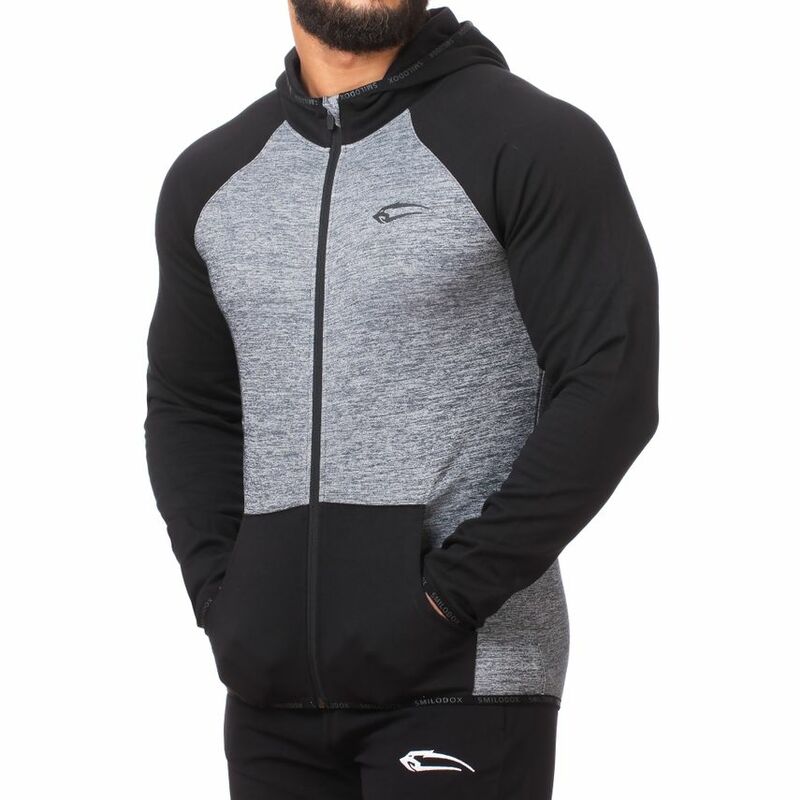 It is not only Zip Hoodie Essential convincing in its appearance and design, it is also a perfect companion in the gym or when jogging. It can also be used in many different ways due to its hood and pockets. 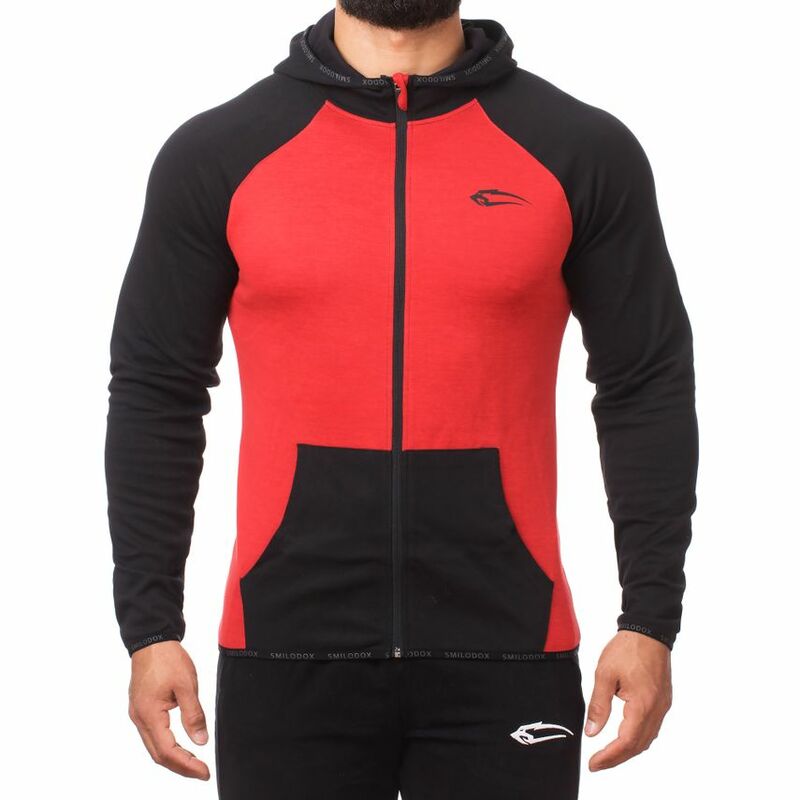 The breathable fabric protects you from the cold and keeps you warm at the same time. This stylish product is available in two colour combinations. The colour scheme allows you to combine it with many other products from our Smilodoxrange. So grab it!